People are generally confused about the concept of tagging in social media marketing. As a result, they are unclear about the usage of ‘#’ and ‘@’ tags and its impact on social media performance of a campaign. 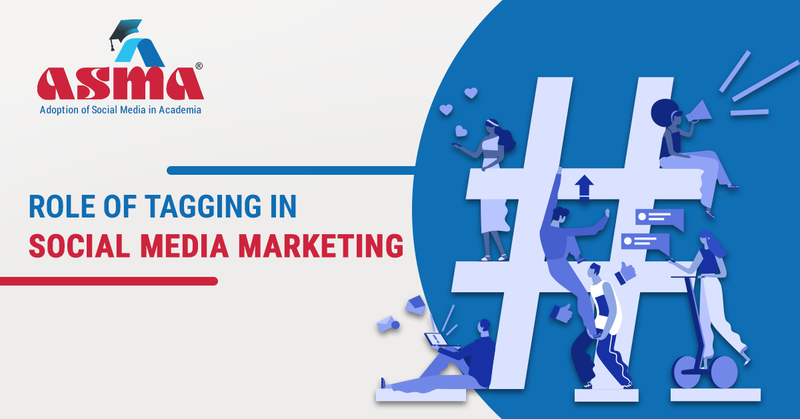 This blog tends to help you understand the power of tagging in social media marketing, difference between ‘#’ and ‘@’ tags and finally provides guidance on how to use tagging smartly to gain maximum mileage from your social media platforms. Hashtags conventionally originated on Twitter in 2007. Since then they are being used across the social media spectrum from Facebook to Instagram in addition to Twitter. Most often people tend to use hashtag and @ social properties interchangeably. Doing so, however, can dilute effectiveness and outreach of your social media messages. Let us understand their correct usage. Most noticeable difference between these two tags is that by using the ‘@’ feature you reach out to a person and by using ‘#’ you reach out to a group in a conversation or online discussion. Using the # tag generally indicates that you want to be part of a large and trending discussion forum. For example, you would want to join conversation on popular topics that have become talk of the town. This can be done by using #. Using @ tag signifies to someone that you want them to respond or know about the update. To make it more clear consider this practical example. If someone calls you by your name, that’s equivalent to using an @ tag. If you are part of a conversation and also invite others to join, that’s equivalent to using an # tag. When you want someone to know about your comment and at the same time would also like to alert others in the group, you may use both. But on common occasions, it is advisable to use any one of them to avoid dissonance. The use of # and @ tags in social media is not the same across all platforms. Here are some of the most frequently used channels and tools for using these tags. You can use both @ and # tags in your tweets, replies, and comments for retweets. A list of accounts will populate when you use the @ tag, and popular hashtags will populate when you use the # tag. When the account or topic you want to use appears, select it from the drop-down list and proceed tweeting. You can use @ to tag individuals and organizations in both individual updates and page updates, as well as in comments on each. A list of accounts will populate when you use the @ tag. When the account you want to use appears, select it from the drop-down list. # tags work in both updates and comments; however, there is no drop-down from which to select a topic. You will have to know the exact hashtags you want to use in advance. You can add both @ and # tags when you’re creating a scheduled post for a page. Similarly, you can use tagging on Instagram and LinkedIn as well. These are also the prominent social platforms besides twitter and Facebook where tagging is used. Social tagging is critical to your social media engagement. So, you must know how to use them correctly and smartly to boost your social media performance on every platform. Hashtags are an important boosters for your social media posts. They can be very effective in increasing social media outreach of your posts. Researches have shown that using hashtags in your posts can increase engagement level substantially. Educational institutes can follow many ways to implement hashtags on social media. They can sometimes create their own hashtags, while on other occasion can use the trending ones. You can even use social media account management tools to generate a list of suggestive hashtags. These tools can mine through tons of content across the web in real time, and recommend relevant hashtags that you can mention in your posts. To help your academic enterprise in successfully managing social media campaigns, we have outlined a few tips on how to strategically implement hashtags in your social posts. Institutes can use hashtags to announce launch of a new event or an alumni meet. By using a campaign hashtag you can connect to a larger audience base and engage them. These hashtags should be trendy and can contain anything from the event name to a catchy tagline. The concept of tagging is very popular among millennial. You can start trending hashtags to encourage audience to share their memories in campus, related photos of campus life and a host of other themes. Using hashtags related to students, for example their college clubs, in-campus activities, sports etc. would be a great start to create conversation flowing on social platforms. Follow the current trends and change your hashtags accordingly. This will help in connecting with an already existing large audience. Geo tagging is another good way to turn up in the feed of your target audience who are located in and around the targeted region. Location hashtags can also be used to inform your audience about any upcoming event in that city that you might be hosting. Generally you should not use more than 2 hashtags in a post. People often think that using too many hashtags will increase the reach of their post. But social media tagging doesn’t work that way. The algorithm of social media platforms is designed in a balanced way to handle limited tags so as to make the social media marketing campaign effective. It doesn’t make sense to use different hashtags to promote one event. In this way you will reduce the reach of your own post. Using same hashtags across social media platforms will benefit you by allowing your audiences to find you easily across platforms. It will eventually have a cumulative impact on your social media marketing campaign across channels. By using the same hashtag on all social media accounts, you also increase the likelihood of turning your plain-Jane hashtag into a trending force. KFC is a great example of this strategy. You can use same hashtags to start a trend and let people talk about it. Not all posts need a hashtag. Sometimes, hashtags can make a post copy detracting and clumsy. To ensure quality of your social media post, it’s best to just skip over the hashtag. Visual marketing using image tagging can be a very powerful social media tool. It can enhance the context of your post and help boost it. Image tagging is nothing but the practice of adding descriptive information to a photo when you upload it. Image tagging gives you the much needed competitive advantage if you include them along with trending keywords in your hashtags. For the purpose of convenience and ready reference you can make note of hashtags that are currently trending on social media. Using trending hashtags will leverage your chances of reaching out to more set of audiences who are already following it. Even if it’s a two- or three-word idea, the word on which hashtag is prefixed will be the only word that’s actually tagged. Make sure you create short hashtags for people to understand and follow easily. Avoid using too common words, else you will lose freshness of the idea. So, build hashtags using those keywords that will attract audience and people will most likely follow. Social media today is the best platform for influencing your target audience. Many educational institutes are leveraging its power to drive admissions and placements. But they sometimes fail to take all advantages of social media marketing properties such as the concept of tagging. In this article, we explained you how the concept of hashtags work and how institutions can use it to effectively to increase their social engagement. These days more and more people are looking for information using hashtag searches. It’s kind of a new way of searching, and academic brands should know how to take advantage of it. Smart usage of tagging will bring dedicated traffic to your website and benefit webpages associated with it. It also helps in search engine optimization. You can use your brand name as hashtag. It will contribute to the promotion of your brand. Similarly, creating hashtags out of your brand taglines can be another good way to attract people using hashtags. To engage your audience, you may even create online contests around hashtags to drive traffic. This type of campaigns bring your current audience together. Moreover, you can also attract new potential audiences with such contests. To sum up, hashtags may be extremely useful for improving your social media marketing strategy if used correctly and smartly.